Bethesda’s latest “Inside the Vault” letter to Fallout 76 players alluded to some of the features set to be in this year’s updates with features like new Vaults and Player Vending included among those mentioned. Following the update released on December 11th – though console players got it a bit later than planned – Bethesda has plans for another large update in January. Exact details on the timing of that update’s release and its contents weren’t provided, but it’s scheduled to release some time this month with full patch notes on the way. But outside of the discussion regarding that patch is where the details about the rest of the features in the upcoming updates were mentioned. There’s always a chance one of these features might be found in the big January update, but the wording suggests that players will see most of these in updates after the one teased before. “We’re also building an incredible list of future updates that we can’t wait to share, including new quests, weekly in-game events, new Vaults opening, a new PvP mode, Player Vending and much more,” Bethesda continued. We hope you all enjoyed the party last night, even those that may have overindulged and overslept. ? New Vaults, quests, and in-game events will all serve as ways to keep players busy with more content to pursue, but the Player Vending feature in particular is one that’ll be a welcome confirmation for Fallout 76 players who have requested the feature. Specifics weren’t provided, but this feature should at minimum allow human players to easily sell their unwanted or valuable gear to others. Players have taken on the role of NPC traders before by using the game’s trading system to pass of items for other goods or currency, but the Player Vending feature sounds like a streamlined version of this makeshift occupation. 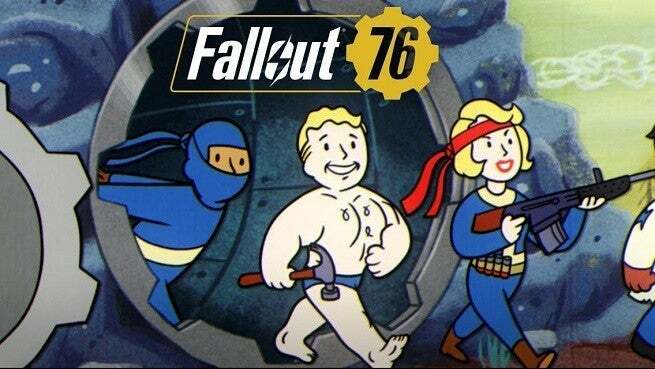 Fallout 76’s new PvP mode is one that’s been mentioned before, assuming the post in question is still referring to the one Bethesda teased in December. The new mode will remove restrictions from PvP, but Bethesda hasn’t gone into detail regarding how it’ll work compared to the existing PvP mode that requires more than one player to engage to result in full damage being done. Fallout 76’s new article about the upcoming updates follows a New Year’s event where players gathered in one location to celebrate, an event referenced in the tweet above.